Hosting your website Header set Expires "Wed, 15 Apr 2020 20:00:00 GMT" Header set Cache-Control "public"
In fact it probably won't be just the website we are hosting. There will be your email services too. For now let's talk about the website. 99% of websites don't get enough traffic to require more than basic hosting. But you want the traffic you do get not to be hanging around waiting for each page to load. What sort of connection they have is relevant of course, but if your website is hosted on a very full or very busy server then your website will run slow. Try running all the applications on your computer at the same time and see what happens... it probably gets a bit slow. Now imagine if one of those applications is trying to open a paricuarly large file. The whole computer will slow down effecting applications that have nothing to do with the one opening the large file. Most commonly website are hosted on commercial shared hosting. So your website is sharing a computer, server, with any number of other unrelated websites. If one of those gets really busy all the other websites on that server will slow down. How are we different? 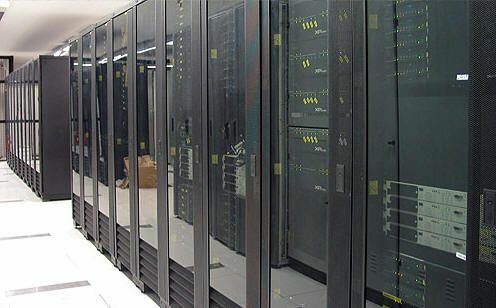 Firstly we manage our own server, based in a datacentre in the North of England. Every website on that server is managed by us. We keep the loading to a fraction of what a commercial shared server load would be. We also employ a system that manages the users if a website gets very busy so that it won't effect any other website. The system we use is NetPrecept's vAC. Some websites have particular needs or are just very busy. These we suggest have a server to themselves, a dedicated server. This way the server can be configured to the needs and expected demands of the website. Getting the hosting right, means the performance of the website will be right. This in turn means the best user experience and it will effect your position on Google. There is currently a trend for some website designers to use 'off the shelf' templates which are then tweeked to fit. We NEVER use bought in templates. Every website we produce is unique. It is build from the ground up around you, your company and your brand. Every website we build is based on a CMS platform, or 'Content Managed System'. This means you can, if you wish, log in to the website and make changes and additions as you want. You can even run a blog if you want. We'll set it up around you and every quote will include training. We have been creating websites since 1994. Almost from the start of the World Wide Web, so we know how a website works right under the bonnet. So if you need something to work or look a particular way, we have the know how to make it happen. Every website we now do will be responsive. You may have heard this term and not known it's meaning. Quite simple, the website is designed and built to look good on whatever device it is being viewed on. Whether it is an iPhone, Samsung, mini or full size pad, even a PC it will still look fabulous.